This Florida Gators 8x10 photo has been personally hand signed by Earl Everett, which includes authentication from Mounted Memories. 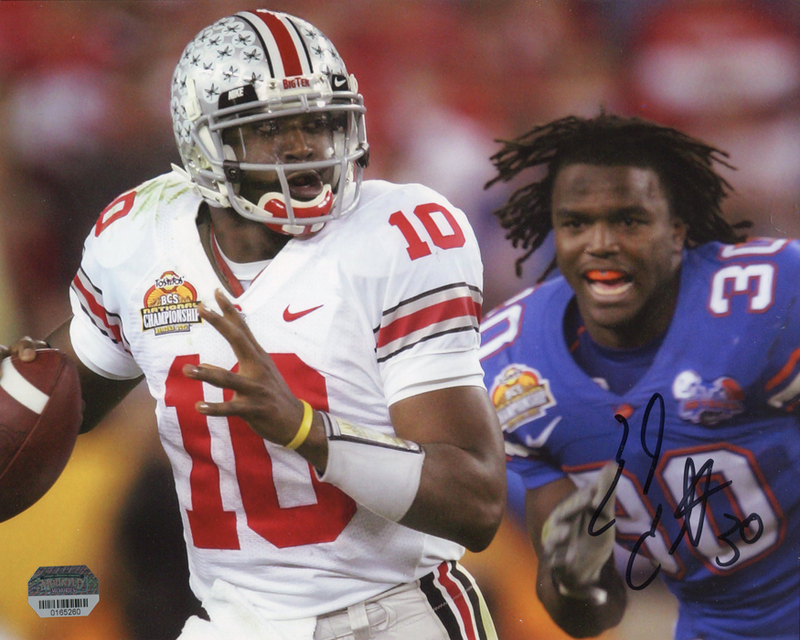 The photo pictures Everett chasing down Ohio State quarterback Troy Smith for a sack in the 2007 BCS National Championship Game. Everett walked away with a bloody nose from the helmet-less tackle, and the Buckeyes were forced to punt on 4th down.